The Basilica contains the remains of Elizabeth Ann Seton and a cross that holds her bones. Photo courtesy of A.Masocco. Fifteen students from Seton Hill University visited historic sites related to Elizabeth Ann Seton on Nov. 3 in Emmitsburg and Baltimore, Md., led by Maureen O’Brien, director of campus ministry, and Marissa Haynes, coordinator of service outreach. 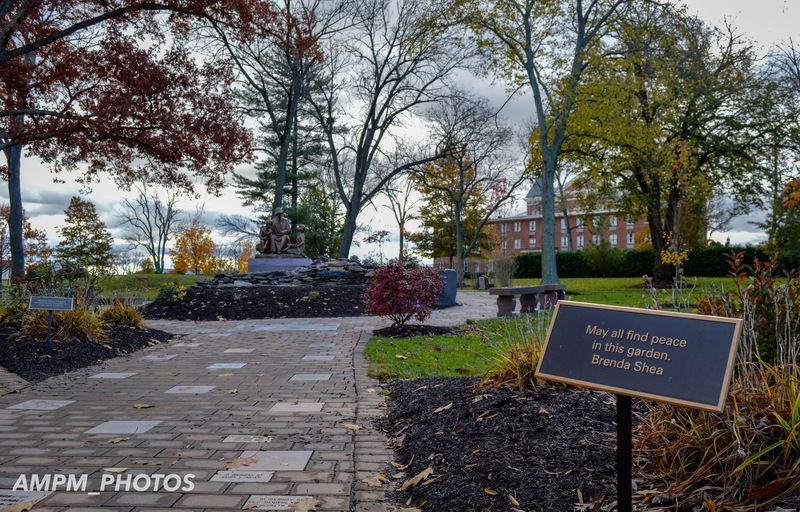 Seton was the first American-born saint and founded the Sisters of Charity that started SHU. The first stop of the trip was the Seton Shrine, which contains the remains of Seton that are entombed in the Altar of Relics at the Basilica. 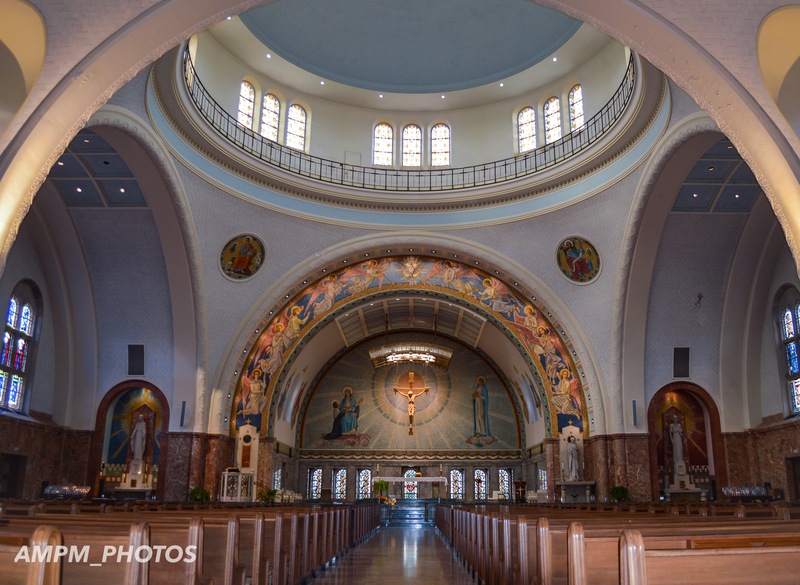 The Basilica was originally built as a chapel for the Daughters of Charity before becoming Seton’s shrine. “The most memorable part of the trip was being able to hold the cross relic that was made of Elizabeth Ann Seton’s bones in the Daughters of Charity chapel,” said junior Sarah Como. The shrine had many letters written by Seton and artifacts owned by Seton and her family. Artifacts ranged from Seton’s wedding ring to school supplies her students and children would use. The first two buildings that Seton, her family and the sisters lived in, the Stone House and the White House, still stand on the property. The garden outside of Elizabeth Ann Seton’s home is located in Emmitsburg,Md. Photo courtesy of A.Masocco. Students then traveled another hour to arrive in Baltimore to Saint Mary’s where Seton’s first home in Maryland still stands. The Lower Chapel on this property is where Seton made her first profession of vows. “It was amazing to step foot in history and how well the house and chapel were preserved,” said sophomore Alley Masocco. Masocco was a big advocate for this trip and recruited other students to attend. She said that trips like these are a great way for students to get off the Hill and explore something new.